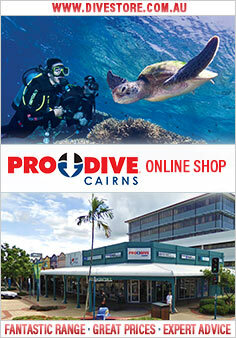 Come and experience the spectacular outer Great Barrier Reef without the crowds! With a maximum of just 12 passengers and an attentive crew of 3, you can enjoy a more personal reef experience, exclusive to a small group. 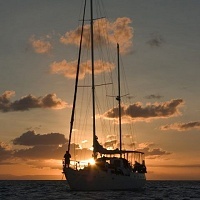 Enjoy 2 Days/1 Night aboard Coral Sea Dreaming, a 16 metre modern steel ketch. She is spacious and comfortable, with a beautiful wooden interior and different cabin options to please the most discerning traveller. The pristine outer reef sites they go to are not visited by the masses and have been chosen for their unique coral formations and abundant marine life. Without a rigid schedule, they allow you to go at your own pace and to be as active or as relaxed as you like. Whether you are an avid diver or looking to experience diving for the very first time, both certified and introductory dives are available. For the beginner or diver that needs a refresher, the smaller groups provide a fun setting where the utmost attention is paid to your safety and ensuring that you get the most value and enjoyment from your experience. If you are a more advanced diver you'll be able to explore and discover the wonders of the Great Barrier Reef without a large number of other divers surrounding you. To challenge you as a diver we provide the option for night dives, drift dives, swim-throughs, as well as following ravines and canyons. Diving not your thing or perhaps you are travelling with a partner who doesn't dive? Because of the magnificent clear waters, snorkelling is also an excellent way to experience the reef, and you can enjoy it at all of the sites we visit. Join in and help sail the boat or just 'supervise' from the sundeck. Our friendly and experienced crew will pay every attention to your comfort and well-being, to help make sure that you return from your holiday with great memories to last a lifetime. And quite often some new friends. 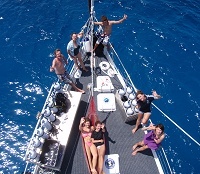 Private Charter: Coral Sea Dreaming is also available for private charter so if you have a special occasion to celebrate or a group of friends that you would like to share this memorable sailing experience with, please ask for our private charter rates. Visits reef areas such as Thetford, Moore, Milln and Flynn, each of which offer varying dive or snorkel locations, with different coral formations and featuring a multitude of tropical fish life. Departures are every Tuesday, Thursday, and Saturday. 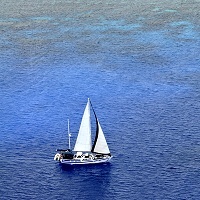 Boarding is at 7:30am (8.00am departure) from the Marlin Marina, A-Finger and return is around 4:00-4:30pm.